Steve's Story: Steve joined Peak in 2010 as a project manager. His artistic talents as well as his mechanical engineering degree made him a valuable member of our staff almost immediately. He is a highly trained Green Industry Professional with numerous accreditations, he has built award winning landscapes, and currently oversees all phases of our design/build and landscape development projects. In his free time, Steve likes to make beer, fix old cars, and ride his bike. His real passion however, is preparing for the upcoming worldwide zombie invasion. When it happens, I suggest you find Steve, he'll be ready! Colleen's Story: Colleen has a long history of bean counting. Her experience in accounting and finance span over Twenty years. Beginning as an office associate at a local Price Chopper store she worked her way up to the tax department at Golub Corporations headquarters. 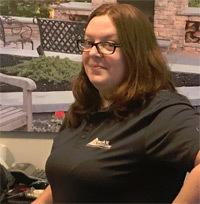 Colleens attention to detail and Type A personality make her a perfect fit as Peaks office manager. When she's not running numbers or hunting people down for time sheets she enjoys spending time with her boyfriend and their two dogs. 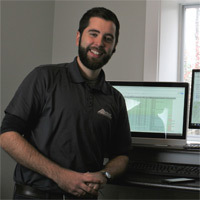 Ben's Story: Ben joined the Peak team in 2016 under the pretense he would be doing some estimating part time. However, in no time at all Ben became an invaluable part of the Peak office doing everything from estimating and communicating with customers to taking charge of inventory systems and controls. Ben has a long history in the customer service industry including opening and managing a restaurant as well as administration and client relations work for St.Peters Health Partners. In his free time Ben enjoys playing guitar, being Uncle Ben to three nephews and two dogs. He also enjoys camping in secluded areas of the adirondacks that have no cell service. Connors Story: Connor joined Peak Environmental in 2013 while he was earning his B.S. in Economics from SUNY Albany. He has since completed his degree and joined Peak full time in 2015. 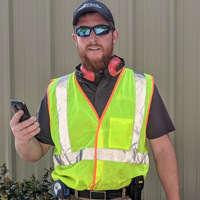 Connor excels in all forms of landscape construction and is the goto on many of our most comprehensive landscape projects. His workmanship skills are second only to his ability to motivate his crew without having to speak. Really, it is an amazing thing to see someone get the best out of people without saying anything!? We really do not know how he does it, but the results speak for themselves! 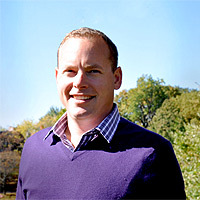 Terry's Story: Terry started Peak Environmental Concepts in 1997 at 22 years old. 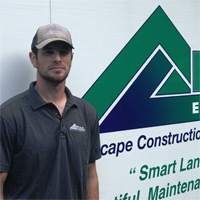 His degree in environmental science and his annual summer landscaping job were the building blocks that propelled him to start this new venture. At that time Terry had one focus, "How do I get a serious summer job that will allow me to ski all winter?" Peak Environmental was the answer. While the demands of a growing business no longer allow the ski bum lifestyle, Terry still gets a few days off during the winter to ski. He also enjoys spending time with his wife Sarah and their three boys. He is green industry professional and he has built a culture of learning, excellence and integrity at Peak Environmental. Sarah's Story: Sarah joined Peak in 2006 her business education background made her a natural at this position. When she's not summer interning she teaches business education classes to young entrepreneurs at Guilderland High School. In her free time she enjoys practicing yoga, cooking, and getting a mani/pedi. Her third job is being a mother to three young boys which keeps her on her toes. 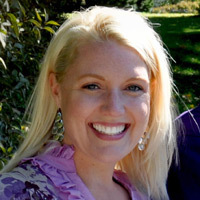 Other than her masters degree from Canisius College, one of Sarah's most noted accomplishments was being voted "the most fashionable teacher" at GHS. Namaste!